On the 28 of May I had to give a speech at my 50th anniversary reunion at St. Ed’s High School in Austin. I did not sleep for three days prior to it because of nerves. After all I was supposed to represent my class. I have never had any problem giving speeches since as a teacher I have had sort of that experience in front of students for quite a few years. I have another speech to make tonight and it has kept my stomach in knots for days now. The speech I am to make is in response to “an honorary golden rocking chair award” (otherwise known as a lifetime achievement award) I am receiving from the Western Magazine Awards Foundation for my contribution to magazines beginning in 1976. My wife Rosemary, who will be my side tonight (but certainly not up at the podium!) has requested that I not embarrass her. I have promised her that I will not but that does not mean that I might not embarrass a few others, just a tad. I will point out from the very beginning that in the 19th century such excellent magazines as Harper’s Weekly were severely limited in the reproduction of images on its pages. Artist Winslow Homer painted wonderful scenes of American Civil War battles but his paintings had to be converted to woodcuts and or lithographs as they were the only methods then known for reproduction. The photographs of Matthew Brady and Timothy O’ Sullivan could only be seen on the walls of salons and galleries. 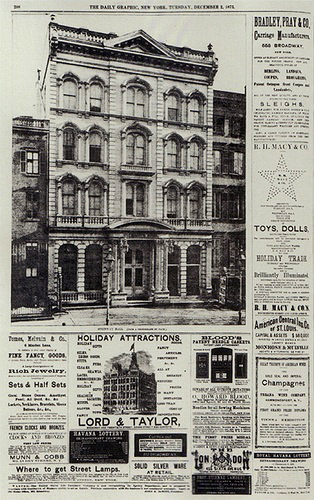 It wasn’t until December 2, 1873 that a newspaper, the New York Daily Graphic published a photograph (in continuous tone) of Steinway Hall in Manhattan. By the end of that decade a symbiotic relationship between copy, photographs and illustrations had been established in magazines and newspapers. Because of the use of the halftone process and or ink to paper, magazines, newspapers and photography thrived until the advent of photon pixels on phosphor screens. We are now living an uncertain transition in which nobody has yet to figure out how to make those pictures and copy pay for themselves. Until about now there was a thriving competition in the world and particularly in Vancouver between magazines and staple-less ones like the Georgia Straight and such excellent magazines of a near past like David Beers’ Saturday Mix in the Vancouver Sun and Campbell’s Queue also at the Sun. The Straight competed both in copy and in photographs as Charles Campbell imposed the idea of competition through an excellence in content and imagery that had to be original in its execution. This was before the advent of the handout photograph (provided by the organizations being written about) made the look of our publications a uniform one. Editors such as Malcolm Parry believed in keeping the doors to their offices open to all. Politicians, actors, comedians, lawyers, writers, artists and even in a few occasions, ladies of the night made it to his office. Harvey Southam, the editor of a city business magazine, Equity not only believed in this open door policy but also believed that you could not run a good business magazine in the suburbs. You had to be firmly ensconced in the centre of the city. In those days political columns such as Sean Rossiter's 12th & Cambie in Vancouver Magazine had politicians like Carole Taylor and Mike Harcourt, eagerly anticipating their issue to read what was up at City Hall or in Victoria. In those heady days Western Living, under the editorship of Malcolm Parry published poetry by Peter Trower. Until then Parry had indicated that the shelter magazine had feautured photographs of bathrooms empty of people. There were contributors to this editorial excellence by art directors who were virtual editors. Chris Dahl, art director first for Vancouver Magazine and then for Western Living and Equity demanded that editors shorten articles so he could run larger photographs and illustrations. Art directors like Rick Staehling established magazines in which they were the editors and hired others as designers. And then there was even one, Bob Mercer, who rejected either classification of being an editor or art director and did both jobs with next to no staff in his magazine VLM. There are three stories I want to tell here that show how a liberal attitude, where imagination was the only limit, produced magazines and staple-less magazines that are now seen as part of a Vancouver Golden Age. It was sometime around 1977 that I was in the reception area of Vancouver Magazine when a gaunt young man in an ill-fitting suit showed up. He informed receptionist and editorial assistant Maja Grip that he wanted to speak to Editor Malcolm Parry. She indicated with minimum bureaucratic fuss that he go up the stairs and turn left. “My name is Les Wiseman and I think your magazine needs a rock’ roll column.” Malcolm Parry answered, “Young man, go home and write it.” That is how the legendary column In One Ear was born. Another time, free lance writer Judy Lees suggested to Parry that she wanted to write an article about corrective underwear for women. Parry thought it was a good idea but imposed a condition: “Go to Alex Waterhouse-Hayward’s studio in Burnaby and you pose for the pictures.” This Judy Lees did. One day in the late 80s at the Railway Club, John Armstrong (aka Buck Cherry) told me he needed to find a job. I advised him to go to the Bay and buy a Harris Tweed jacket, put on a dress shirt and tie and see Georgia Straight editor Charles Campbell. Immediately Armstrong and I were assigned to interview and photograph actor Vincent Price. Not long after we traveled to Seattle to do the same with Dennis Hopper. It is this marvelous no-limit-to-imagination that fueled what for me was an era of magazines and newspapers in our city that will surely not be repeated. I feel lucky to have been part of it and I only hope that the powers that be find a new symbiosis between copy and photography so that a second golden age will be upon us.